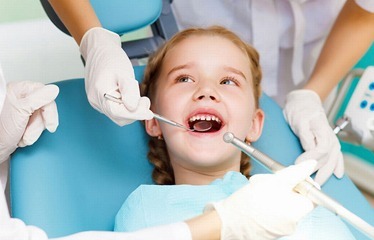 At Peninsula Dental Care we are passionate about children’s dental health. If you are looking for a kid friendly dental clinic on the Peninsula with caring dentists, then call (03) 5981 2255 to make an appointment. We offer free dental treatment to children who are covered by Medicare’s Child Dental Benefits Schedule (CDBS). Children aged 2 to 17 years whose family is receiving Family Tax Benefit Part A and/or other Government funded assistance can receive free dental services. For example, if your children receive $1000 worth of general dental care treatment such as x-rays, preventative fissure seals, fillings, and extractions under this scheme, the services are Bulk Billed. There are no out-of-pocket expenses. Call the clinic to verify your eligibility. Looking for a dental clinic on the Mornington Peninsula that can help with all your child’s Dental Care needs. Contact us today on (03) 5981 2255 or book online peninsuladentalcare.com.au for a consult so that we can assess your suitability.